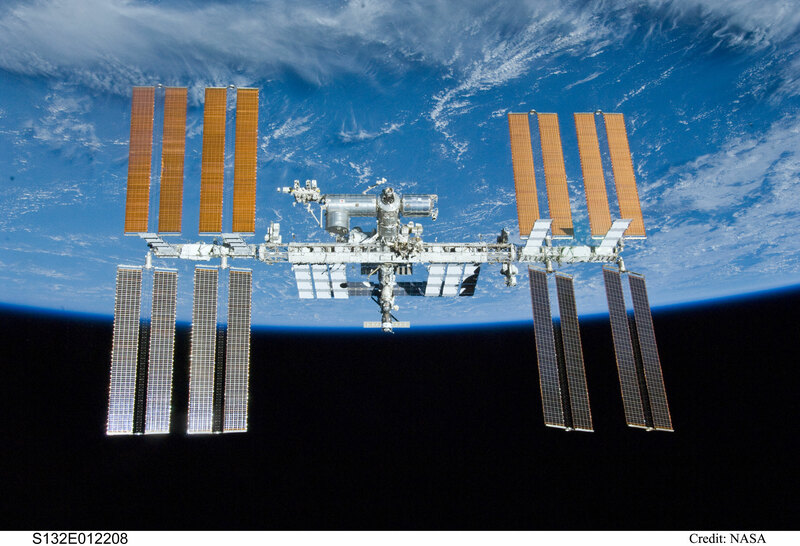 Explanation: The International Space Station is the largest object ever constructed by humans in space. The station perimeter extends over roughly the area of a football field, although only a small fraction of this is composed of modules habitable by humans. The station is so large that it could not be launched all at once -- it continues to be built piecemeal. 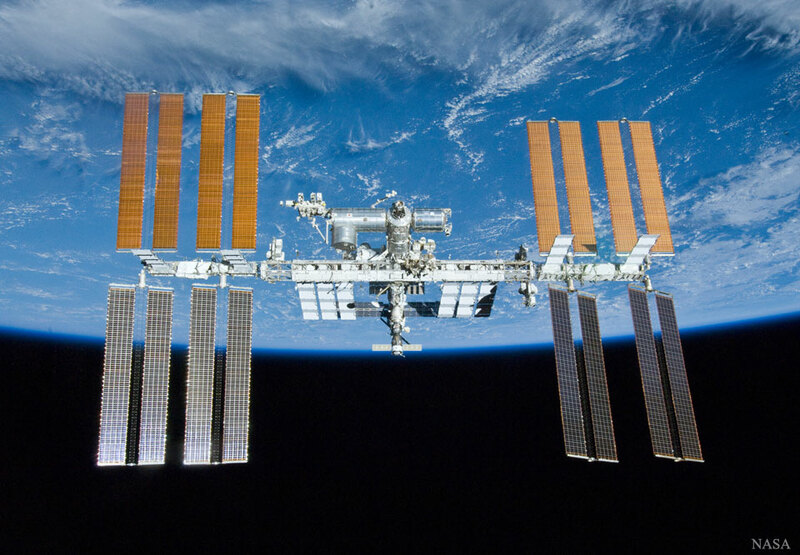 To function, the ISS needs huge trusses, some over 15 meters long and with masses over 10,000 kilograms, to keep it rigid and to route electricity and liquid coolants. Pictured above, the immense space station was photographed from the now-retired space shuttle Atlantis after a week-long stay in 2010. Across the image top hangs part of a bright blue Earth, in stark contrast to the darkness of interstellar space across the bottom.